After swatching sessions, I sometimes like super simple. I really was in the mood for elevated white nails, so this is what I went with. I feel like white and off-white nails will never go out of style. If you're like me, you have a bunch of plates in a giant bag. Every time you want an image, you dump out the plates, and then one by one start removing the plates until you find the right image. Twenty minutes later, you are tired and don't want to stamp anymore haha. So here comes a much better solution to that problem! Sometimes, your mouth just drops after you do a manicure. Maybe only me? 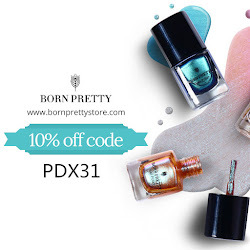 But today, you'll join me in the OH EM GEE WHAAATTTT just like I did after using this Born Pretty Flakes! 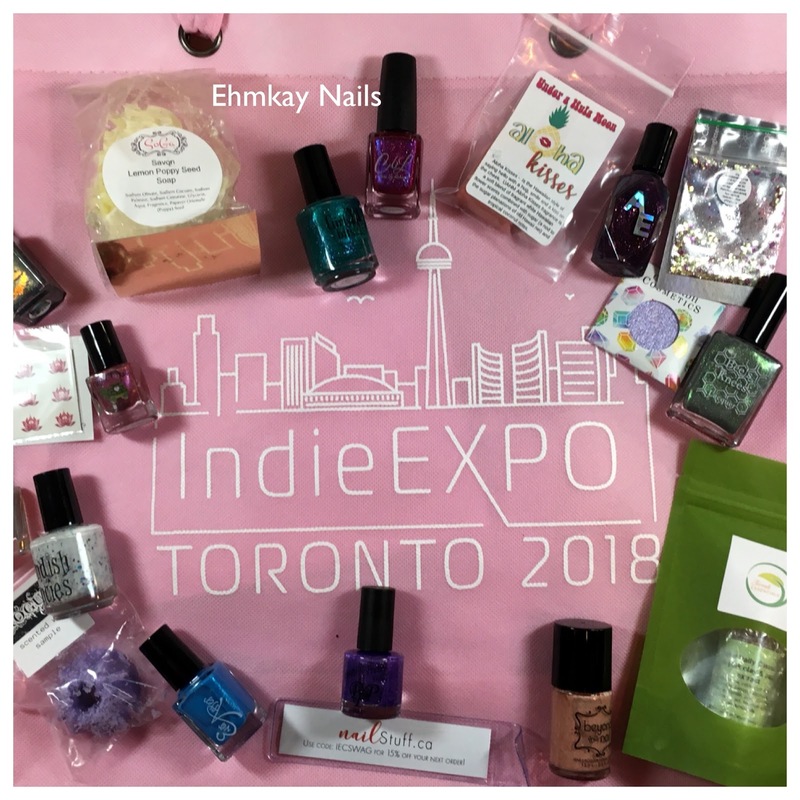 I hope you have your cup of coffee, juice, or whatever you need to sit back and take a look at my experience at Indie Expo Canada in Toronto. This event took place on June 10th at the Hyatt Regency, right in the heart of Downtown Toronto. There was a variety of nail polish and bath and body vendors and I have some information about each one! I fully intended to share this as a "find my nails at Polish Con" but I just had other things to post first, oh well! So now this is a, "did you see my nails at Polish Con?" post. Jessica Phenom is back with another collection. This time it's the Sugar Town Collection, which is giving me more Valentine's Day vibes than Summer vibes, but I love cremes. The Phenom system is a gel-like system without the light, and is supposed to last 10 days! More Girly Bits releases! With all the limited events, it's time to share the June colors of the month! This duo will be available until July 2, so you still have time to grab this! If you like beachy and soft colors, Girly Bits has you covered! Jessica Cosmetics is back with their classic creme formulas for their summer 2018 Gypsy Spirit Collection. I feel like a lot of brands went with festival themes and bohemian vibes, and Jessica followed suit. There's a nice mix of brights in this collection, without being neon, so it's a different summer vibe! It's really nice when makers take into consideration what their customers want. In the Stella Chroma Facebook Group, Pam, the owner and creator, set up polls and let us choose what color we wanted with the finish! I'm not sure I even voted for blue (I probably was a lone vote for yellow haha), but I do love the end result! I got home from Canada Monday night at 8pm and this beauty was waiting for me! Polish Con is this Saturday and KBShimmer has a special limited edition polish to pick up while you are there. Luckily, this beauty will also be available online, but nothing is better than instant gratification and buying indies in person! It's my 6th Blogging Anniversary, and my seventh year blogging. I really didn't think I would be going this long. I know everyone must say that, but it's still fun! Nail art is what started this blog, and although I've been swatching a LOT lately, nail art is still my number one! 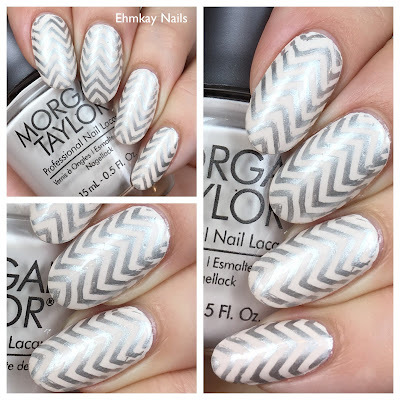 As I do every year, I share my birthday manicure for my blog anniversary post, since that's what began this blog! Fresh off the heels of Indie Expo Canada, we are moving on to Polish Con, which will be in White Plains, New York this weekend on June 16! Many makers will be there with limited edition polishes, and I have 3 special polishes from Girly Bits! Oh this is exciting! A new KBShimmer collection is releasing next week, and I have a look at the entire 8 piece collection, inspired by travel and all the things that make each vacation unique! I know I'm always taking pictures on vacation, especially to inspire nail art, so I totally relate to the collection. I'm here today with the Lechat Dare to Wear Summer 2018 collection. Indie Fest is inspired by festivals and the indie bohemian spirit of the summer. This collection has neons, shimmer, and cremes, and really is what I look for in a versatile yet cohesive summer collection. I have been so impressed with Lechat all year, and this collection is no exception. More Hella Handmade Customs today! This time, from Stella Chroma, who chose Game of Thrones as her theme. She's also doing it based on strong women of Games of Thrones. Since I don't watch this show, I depend on Google to figure out the inspiration. Queen Regent wears a red garb, so this totally is on point. Girly Bits has a gorgeous offering for the June Hella Handmade Creations. If you forgot, HHC has changed its format where each maker chose a theme for their polishes, and will continue that theme for as long as they would like. 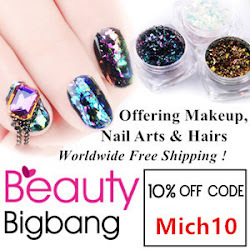 They polishes will be available for a one week window. Girly Bits has chosen Harry Potter as their theme. Cynthia of Alter Ego did another collection based on fan requests. Just like the Fan Favorites collection, the fans chose the theme of Jurassic Park and chose the names. They also chose the chrome metallic finish! I have only seen the original movie once, so I don't know all the references but I can still love all the colors! Summer collections are in full force right now. Remember how I wanted to take a few weeks of blogging? Especially since I have 4 trips in June OMG. Well, fail. There's too many gorgeous summer collections that need to be shared, which includes Stella Chroma's Summer Diversions collection. When it was snowing and awful, Pam from Stella Chroma was looking online to remind herself of warmer weather, hence diversions!